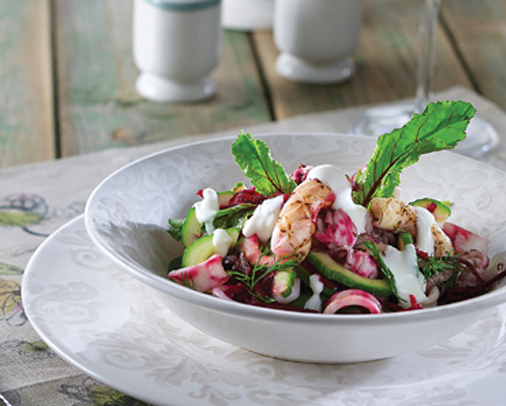 Ingredients (serves 4) 320g fresh beetroot 320g squid 160g cucumber 120g strained yogurt Olympos 120g dill 80ml olive oil 1 fresh lemon Garlic Salt, Pepper Directions Clean and grate the beetroot. Cut the cucumber into half slices. Boil and slice the cleaned squid into rings. Sauté the rings in a little olive oil. Mix all the ingredients together. 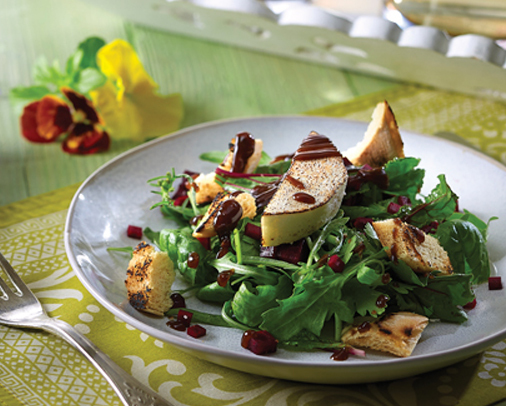 Make salad dressing with yoghurt, dill, lemon juice, olive oil, finely chopped or pressed garlic and pour over the salad.